Extell Development Company launched the new East Village rental known as EVGB earlier this year, a luxury residence designed by Beyer Blinder Belle located at 510 East 14th Street, between Avenue A and Avenue B, that rises to 7 floors with 110 luxury rentals ranging from studio lofts to three bedroom layouts. The façade was inspired by the surrounding neighborhood and incorporates alternating colors and materials, giving the appearance of several individual buildings linked as one. Interiors are by McGinley Design, and residences have oversized windows and many have private outdoor space. While studio and one bedroom layouts are fully leased, remaining two and three bedroom layouts are listed with special offers including up to 3 months free with a new lease. Available units include two-bedrooms from $6,979/month and three-bedrooms from $10,829/month. All of the residences feature generous floor plans, state-of-the-art kitchens in light or dark palettes, large bathrooms, a washer & dryer in every unit and walk-in closets. Offerings extend beyond the residences to the building’s public spaces and amenities. The rooftop includes an al fresco dining area with grilling stations, fire pits, wet bar, bocce court, putting green, yoga/workout area and an outdoor shower. Indoor amenities include a two-level comprehensive fitness center, indoor saltwater lap pool, residents’ lounge, children’s playroom, and doorman. Residents are also be able to enjoy the convenience of EVGB’s retail anchor, Target, which opened this summer. 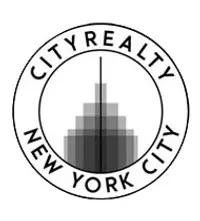 The building is positioned along a lively stretch of the East Village offering proximity to retail, culinary, cultural and entertainment attractions, as well as a number of transportation options, including the 1st Avenue L subway line, numerous bus stops and Citi Bike docks. 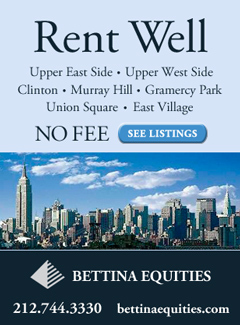 Contact the leasing office directly at (212) 443-EVGB or visit the property's official website.